Total Score: 8.09 - EDITORS CHOICE AWARD! Introduction: When it's time to "crank it up", there's nothing more gratifying than pulling out a unique, hard to acquire, and effective bait that your fishing buddies likely do not have. Evergreen International has one such bait that is only hard to acquire because the company is once again re-adjusting their product import strategies. 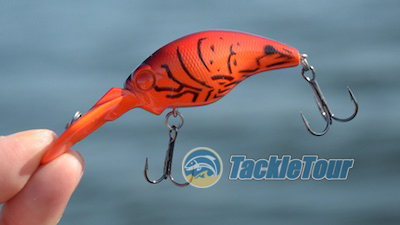 Here now is our look at Evergreen International's Wild Hunch crankbait. Here is our long overdue look at Evergreen International's Wild Hunch. Quality/Construction: The Wild Hunch is a diminutive crank about the size of the eighth ounce (1/8 oz) rated Luhr Jensen Speedtrap (a bait that actually weighs one quarter of an ounce). It's available in two models, the standard which dives about 3-5 feet, and the SR which dives 1-3 feet all depending on the diameter of your fishing line. The Wild Hunch is a diminutive 2 1/8" long bait (excluding the bill). 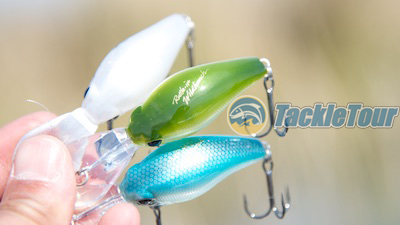 The baits themselves, as one might expect from Evergreen International are very clean in finish and detailing. Hardware is all light wire, so using heavy line is not recommended with these baits, and craftsmanship is spot on. It is available in a standard model that's rated to run down to about 5-6 feet and an SR model what is rated down to 3 feet. Performance: I've been fishing Evergreen's Wild Hunch cranks off and on for several years now, so I've been rather remiss in sharing my experiences, but all that is about to change. Official weight of the standard Wild Hunch on our scales is 10 grams. Despite its small size, this bait is very easy to cast. 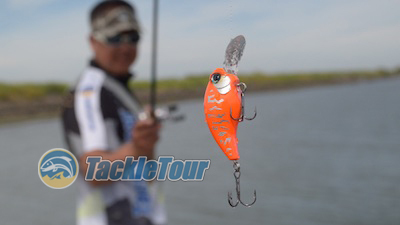 Internal weighting of the bait consists of a single ball weight right in the belly. 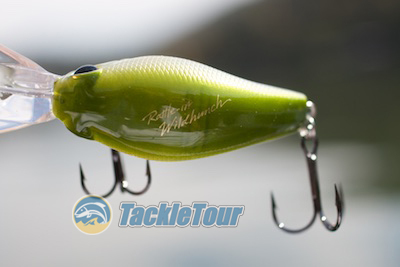 In the rattle-in model, this ball moves from side to side as you retrieve creating noise and enhancing the bait's action. 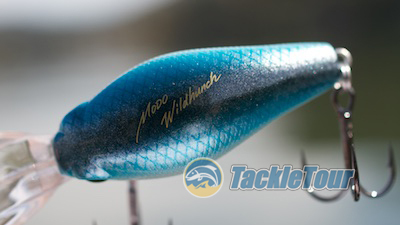 In the original and SR models, this weight is fixed so the bait runs silent. There is no weight transfer system to assist in casting the bait, but the baits all cast quite easily without it thanks to the overall small size. Though small, the backs of these bait are wide. Crank the handle of your reel over, and the Wild Hunch dives right away. 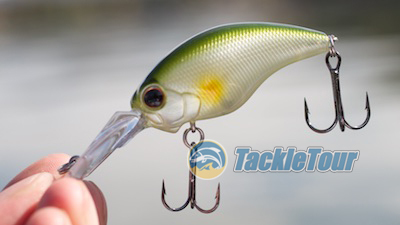 As with all cranks, the thinner the diameter of your line, the more quickly this bait dives, but thinner line also equates to better action with this bait. 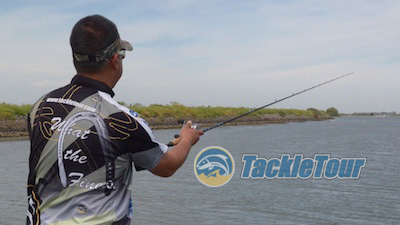 For open water situations, I liked the Wild Hunch on eight or ten pound Sunline Supernatural, but while fishing the SR on the California Delta, I've gone as heavy as fifty pound Suffix 832 Braid (more on this in a bit). One of the things we enjoy about Japanese lures, they're labeled so you know what models you're throwing - this is a Rattle-In version. 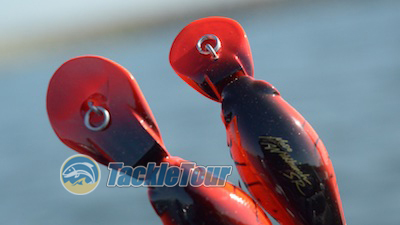 The mark of a good crankbait is one you can retrieve at any speed. Sure some are designed to only be fished fast or slow, but the ability to do both provides the angler with the greatest flexibility in varying his or her retrieve to elicit that elusive strike. The Wild Hunch is good at all speeds right out of the box. The original Wild Hunch simply states the bait's name. So why the heavy braid you ask? Well, given how difficult these baits are now to acquire, I was very hesitant to run my baits through deflection tests. I finally through caution to the wind by tying a standard Wild Hunch to the end of my 8' Edge Rods Black Widow cranking stick paired with a Revo Rocket casting reel spooled with 50 pound Suffix 832 Braid. The task would have been much easier with the SR version, but I figured with the Hunch's light wire hardware, if I got caught up somewhere, thanks to the heavy duty braid, I could just pull the bait out of any snags sacrificing the hooks and split rings. Some patterns, like this craw, feature a painted bill.